Photo: Memorial Hospital Radiology and Imaging Director Rhonda Schmid (right) and Ryann Woodall, Radiologic Technologist (left). The mammography department passed a KDHE survey in which no deficiencies were found. 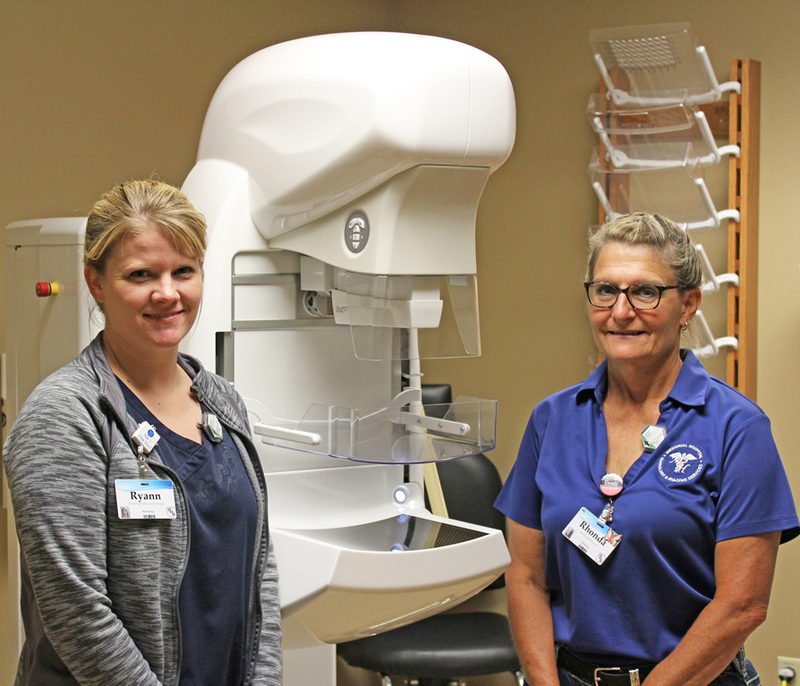 Memorial Hospital’s Radiology and Imaging Department received notification from the Kansas Department of Health and Environment (KDHE) that mammography services has again passed its recent survey with zero deficiencies. The survey is conducted to see that all certifications, personnel, and equipment meet standards. The Radiology and Imaging Department at Memorial Hospital completes around 1,100 mammograms per year.